As Tesla tries to introduce their electric supercars to a broader market, they will need to reduce the cost of their batteries. In this post, titled "Tesla Motors Inc Needs Significant Cost Reductions on Batteries (TSLA)", Victor Alagbe, writing for learnbonds.com, shares his belief that Dexmet expanded metals could be a cost-reduction solution. Tesla Motors Inc (NASDAQ:TSLA) needs to reduce the cost of batteries if it wants to sell the Model 3 for a price that is affordable for the masses. Tesla will begin taking pre-orders for the Model 3 on March 31 as part of a grand plan to take EVs to the mainstream market. Tesla’s Model 3 is an affordable EV priced at $35,000 before tax incentives and it preorder requires a $1,000 deposit. The car will be a sedan, about 20% smaller in size than the Model S and it will have a mileage of at least 200 miles on a single charge. The firm has been tight-lipped about what to expect from the Model 3 but we have enough hints, leaks and rumors to paint a fairly- accurate picture of the Model 3. At the heart of Tesla’s plan to build an affordable EV to jumpstart the widespread adoption of electric vehicles in its ongoing Gigafactory project in Nevada. Tesla needs to have a functional Gigafactory in order to start 2017 deliveries of the Model 3 and for the firm to reach its target of delivering 500,000 cars by 2020. This piece seeks to explore the advances being made in battery technology, how they could reduce the costs of EVs, and how Tesla could adopt these advances in battery technology to cement its lead in the electric vehicle market. Electric Vehicles are currently seen as “expensive” because they currently cater to the elite market of early-adopters who can afford to pay a premium for the cars. For instance, the Model s starts at $85,000 and it has an MRSP of $105,000 and the Model X has a base price of $80,000 but its price can easily run up to $125,000. Other automakers such as Daimler AG, Audi, and Porsche are also showing interest in making EVs and there is little doubt that their cars will cater for the premium luxury market. It is worthy of note that General Motors has unveiled the Chevy Bolt to cater to the mass-market for electric vehicles. The Chevy Bolt is designed to rival the Model 3 from Tesla and it would be interesting to see how the two mass market EVs will fare in the market when they hit the roads by 2017. Batteries are probably the most expensive components of electric vehicles and the cost of EVs can be significantly reduced if battery costs are reduced. However, until the effects of Moore’s law catch up with battery technology, EV firms and consumers must find ways to bear the cost of research and development on batteries powerful yet small enough to fit into the design of current electric cars. One of the biggest challenges facing Tesla Motors and other makers of electric cars is how to increase the energy density of batteries without reducing its lifespan. The energy density of a battery loosely refers to the amount of power it could hold on a single charge and the lifespan of the battery refers to the number of charge cycles it can hold before its starts to lose its capacity. The problem is that an increase in the energy density of a battery often shortens its lifespan – the solution for building batteries with larger energy densities is to build bigger batteries and bigger batteries are impractical for electric cars. In June 2015, news broke that Tesla Motors (NASDAQ:TSLA) has signed a deal with Li-Ion genius from Dalhousie University in Nova Scotia. Tesla signed a 5-year deal on an exclusive partnership with Dr. Jeff Dahn who has been studying rechargeable batteries since 1978 – Dr. Dahn is considered an authority on lithium-ion batteries. Dahn is reportedly working on finding ways to reduce the cost of batteries and on finding ways to increase the energy density and lifespan of batteries. Delegates at NAATBatt Annual Conference that held earlier this week will have one or two things to say about revelation on some technologies that are being developed to reduce the cost of Lithium Ion batteries. Many startups, companies, and researchers are hard at work to find days to reduce the costs associated with the batteries used in electric cars. Dexmet Corporation is another firm working towards reducing battery costs by focusing on the chemistry of batteries. The firm thinks that it can reduce the cost of batteries by reducing the volume of metal in the batteries. The firm is trying to expand foils, which will be coated to make the anode and cathode in batteries. The foil technology is still being tested but the firm notes that “testing performed by NEI Corporation, of Somerset, New Jersey, is indicative of some of the promising potential our expanded foil may offer towards improving battery performance”. 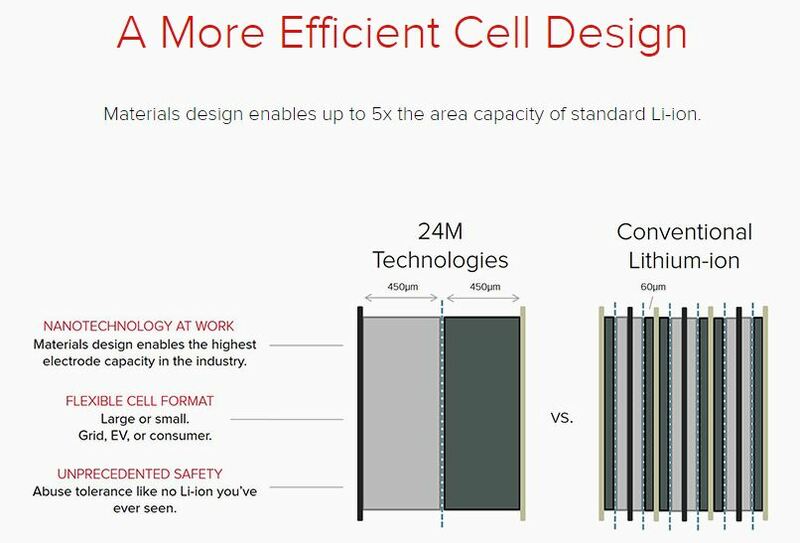 You’ll also be interested in knowing about the work that 24M is doing on reducing the cost of Li-Ion batteries. 24M is a firm that has its roots at MIT and the firm thinks that using thicker electrode layers should reduce battery costs. The firm is working on electrode layers with 450 microns instead of the currently available electrodes with 60-100 microns. The application of 24M’s technology could potentially reduce battery costs by 65%. The technology also has the potential to increase the range on size on the current size of batteries from current 240 miles to about 700 miles. Tesla Motors (NASDAQ:TSLA) is working very hard to get its Gigafactory up and running in time to make it easier to push out the Model 3 at a faster rate. In September 2015, Tesla CEO, Elon Musk tweeted that “Model 3, our smaller and lower cost sedan will start production in about 2 years. 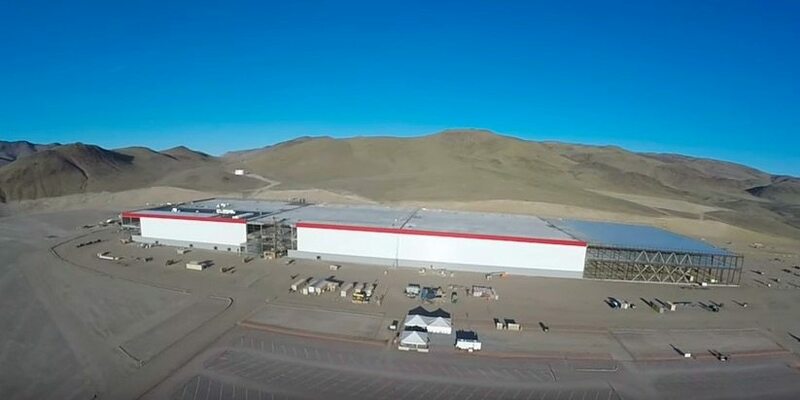 Fully operational Gigafactory needed.” Tesla in partnership with Panasonic Corp is building the Gigafactory to build enough batteries to meet its target its 500,000 cars per year target. Tesla Motors (NASDAQ:TSLA) has also noted that it should be able to reduce the cost of its battery packs by more than 30% when the Gigafactory starts working. Tesla’s 30% reduction on battery costs is not as much the 65% potential cost reduction from 24M. Nonetheless, a 30% reduction in battery costs will remove a massive $10,500 from the $35,000 price tag of the Model 3 before incentives. A $10,500 cost reduction on the Model will surely increase the demand for the car and the increase demand will help Tesla get on the path to profitability much faster.